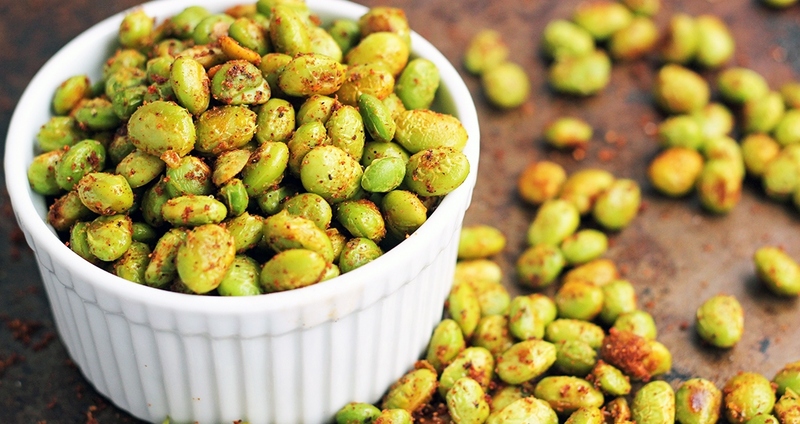 Roasted edamame is the go-to snack, and once you try these, you will always keep a bag of edamame in your freezer. This easy-to-make snack is also a great way to involve kids in the kitchen, and you can adapt the spices to suit your tastes, whether you opt for simple salt and pepper or a drizzle of olive oil and fresh lemon juice. Toss the frozen edamame with the coconut oil, cumin, paprika, garlic, sea salt and a pinch of black pepper. Lay flat on a baking sheet and roast for 15 minutes. Enjoy immediately.